As some of you may have noticed the pricefeed script in control of my witness price feed updates wasn't really having a good time with stability nor ability to keep on top of the demand for it to work as intended. 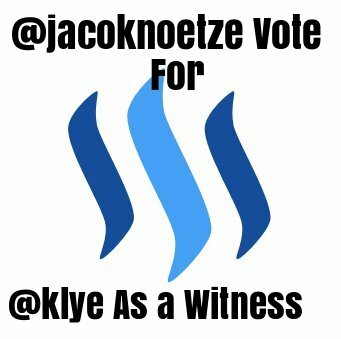 So it was decided that I'd write my own STEEM witness price feed script in order to rectify the problem. 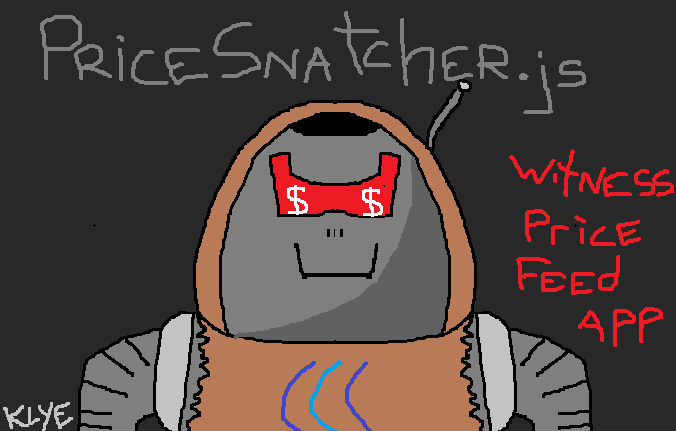 Pricesnatcher.js is an open source, light weight and easy to use way to ensure your witness duties of price feed updating stay up to speed and current. Written in NodeJS deploying the script and setting it up only takes a minute or two and should be more than enough script to get the dirty work done in regards to price feed updating! I personally had gotten fed up with the failure and complexity of other offerings for this sort of thing and decided to share my work with the world. Check out the code and github below. Admittedly this code has only been tested for a few hours locally here while development was under way.. It may (or will) contain bugs and I'd highly suggest using it only if you consider it at your own risk. The developer (@KLYE) of this application takes no responsibility for damage, loss of data, apocalyptic system failures or anything else nasty that may happen from using this script. That being said I'm looking forward to folks using it, improving on it and ultimately learning from my work here. I've tried to comment the code to make it better on the mind. Any questions or problems in regards to the pricesnatcher.js project may be raised below in the comments. You shouldn't rely on only one exchange to get the price feed, especially if it's BaloneyEx! That pos had price discrepancies vs the other exchanges very often when it comes to STEEM/SBD. Hey @klye I am @utopian-io. I have just upvoted you! Wow! Thank you very much for that hefty upvote and warm welcome to the utopian.io platform! Give me some reputation please. It's a price script to automate witness price reports. lol, whut? I'd honestly not thought I'd even added that functionality?! The steemcleaners will take care of the rest. I saw his comment on another post earlier, didn't pay attention to it, until I saw it again on your post! Actually debating making a bot that tracks all comments and looks for repetition / spam posts and alerts me..
Would be handy I reckon.. What you figure?